Later this month, Guests visiting Disney’s Animal Kingdom will be able to meet Disney Junior star Doc McStuffins at Rafiki’s Planet Watch. Dottie “Doc” McStuffins is a young girl who talks to the stuffed animals and toys she cares for, diagnosing their “ouchies” with help from her mom (a real doctor) and her Big Book of Boo Boos. Rafiki’s Planet Watch is a perfect fit for her, as the land gives an up-close look at how our animal care professionals provide world-class care for animals in the wild and those in our care. 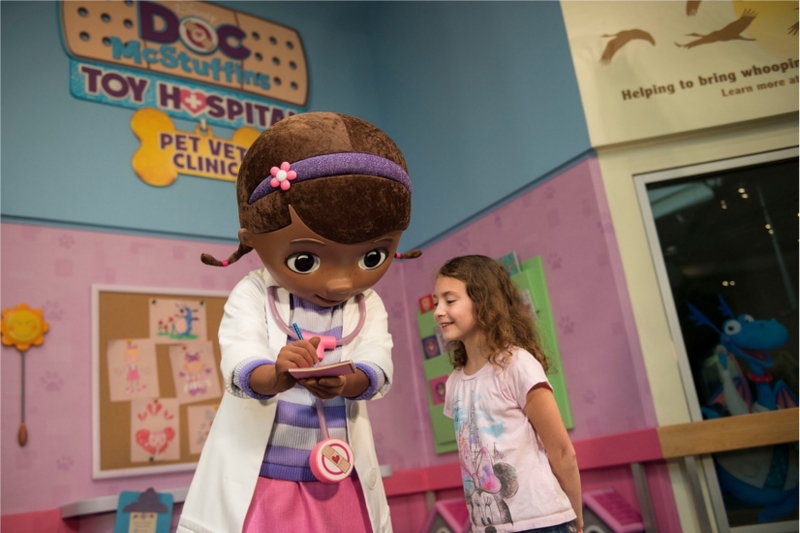 Doc McStuffins will also continue to meet Guests next to Disney Junior Live On Stage! at Disney’s Hollywood Studios. Chip and Dale will no longer be meeting Guests at Disney’s Animal Kingdom after Doc arrives. Refer to the My Disney Experience mobile app for up-to-date character information. PHOTO: © 2017 Walt Disney World Resort. All Rights Reserved.